We’ve been lucky enough to go whale watching in many amazing locations around the world – we’ve seen humpbacks and minkes off Húsavík in Iceland, fin whales in Greenland’s Disko Bay, right whales in Antarctica and blue whales off Sri Lanka. But we had never managed to see orcas. So when we heard that orca whale-watching tours had commenced in our home state of Western Australia, we were immediately sold. Bremer Bay is a small coastal town on Australia’s southwest coast, a two hour drive from Albany and a five and a half hour drive from Perth. Just 60km off the coast of Bremer Bay, lies Bremer Canyon – a tiny but amazing marine hotspot discovered just a few years ago, and now endowed with Marine National Park status. Here, for a few months each year, occurs the largest congregation of orcas in the southern hemisphere, making this one of the best places in the world for almost guaranteed sightings of this magnificent predator. The discovery of this astounding location is a story in itself, documented in the film “The Search for the Ocean’s Super Predator”, by Australian film-maker Dave Riggs. In 2003, a research project tagged great white sharks in Australia’s Southern Ocean. One of the tagged sharks, a 3m female, was subsequently found to have been pursued along the continental shelf near Bremer Bay, dragged into the depths and eaten. The question of what could pursue and eat a 3m shark eventually lead to the discovery of orcas in Bremer Canyon. It’s not just orcas that flock to Bremer Canyon – the nutrient-rich waters here, believed to be due to deep-sea hydrocarbon deposits that leech into the waters above, attract a biodiversity of wildlife that is remarkable – giant squid, blue fin tuna, crabs, dolphins, sharks, sperm whales, beaked whales, pilot whales and a multitude of seabirds. 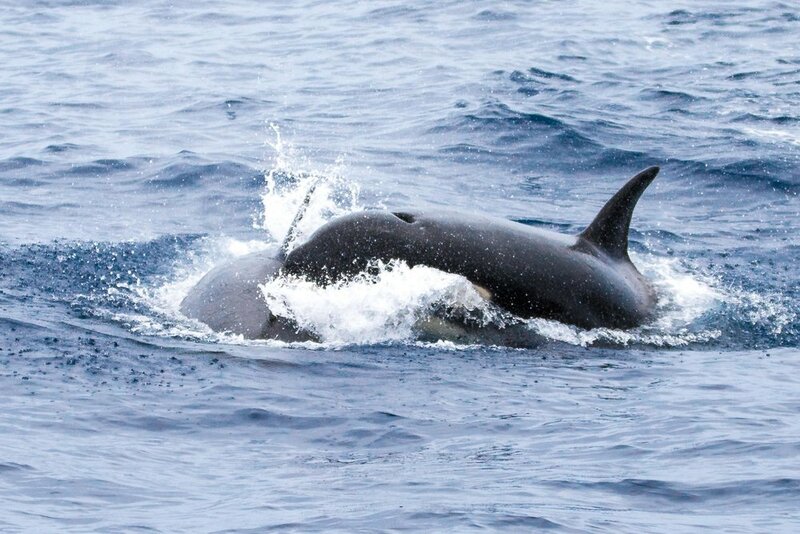 But it is the orca that reigns supreme – and between January and March, they converge here in their hundreds to feed and breed. Whale-watching tours to the Bremer Canyon commenced for the public in 2017, and in just two seasons have garnered a success rate for orca sightings that is unmatched anywhere else in the world. 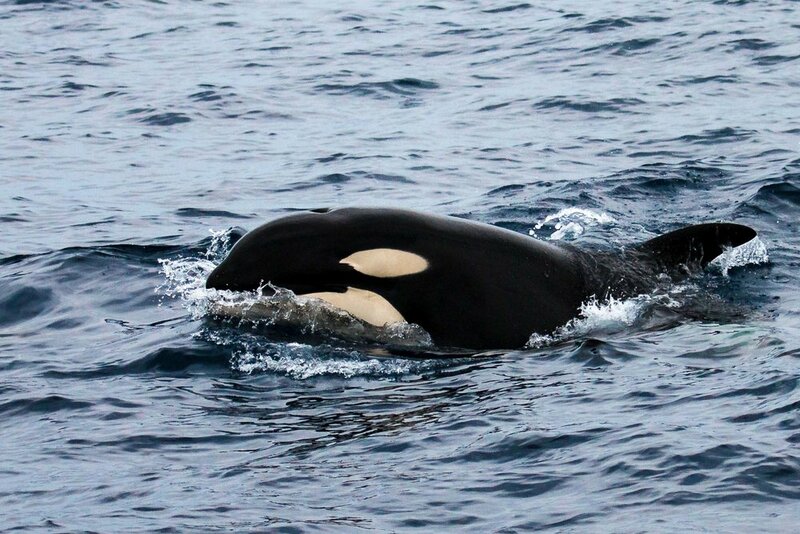 And these sightings are not just of an orca or two in the distance – frequently there are dozens of orcas in close proximity to the vessels, surging through the water, leaping into the air, and generally just hanging out in their family pods. For our tour we joined Whale Watch Western Australia, a slick family-run operation that operates daily tours throughout the season. Also offering tours is Naturaliste Charters, original founders of the Bremer Canyon excursions. Both are highly professional operations, with comfortable, safe vessels and experienced and knowledgeable staff, keen to show you the amazing wonder of nature that exists in this corner of the world. Our tour commenced at 0730 for a 0800 departure. We were greeted at the petite Bremer Bay Harbour by the friendly crew in crisp white marine uniforms, and provided with glasses of orange juice while waiting to board. Our vessel was a luxurious 25m catamaran called Steep Point, with multiple seating areas and viewing decks over two levels. Right on time we were off, with a safety briefing and seasickness instructions as we left the harbour and the Bremer Bay coastline. Once completed we immediately started speeding towards the canyon. The previous day’s tour had been cancelled due to poor weather, and while our weather was much better, there was still a reasonable swell. While we enjoyed the rocking roller-coaster ride to the canyon, many of our fellow travellers were not so lucky, and the seasickness seemed contagious. For those affected, the one hour and forty five minute journey to the canyon must have seemed interminable, and it wasn’t like the waters became completely calm once we arrived at our destination (given that it is in the middle of the ocean) – it was just that we weren’t speeding through it quite so quickly. If you are affected by seasickness, please recognise that this is a serious ocean venture, and take appropriate medications, and early (not just after starting to feel queasy, because by then it is WAY too late!). For those of us who were still standing, the crew explained how we would find the orcas now that we were at the canyon – by looking for the oil slicks from squid killed by the orcas, and bird life activity above the waves. We were fully prepared for a long wait, but within minutes, the crew had spotted some circling birds, and sure enough, we were seeing our first orca. And it was the first of many – with two separate family pods coming together and diverging over the course of the day, with three generations of orcas present, including the newest addition to the family, baby Stormy. Mum, Flapper, and her new born, Stormy, spy-hopping to get a better look at the visitors to their domain (us). Having hunted and fed earlier in the day, they were now enjoying some downtime, with youngsters playing together, leaping in the air and on each other, slapping their pectoral fins against the water and spy-hopping up to see us. Unfazed by our presence, they circled our vessel and even dived underneath it, turning sideways to look up at us as they did so. And at one point, the matriarch of the family swam right up to the bow of the vessel and exhaled as she did so, creating a “brrrrr-brrr-brrrrrrr-brrrrr” sound that seemed to be speaking directly to us. It was a magical experience to be so close to such majestic and intelligent wild animals in their own environment, and to have them so willing to interact with us. 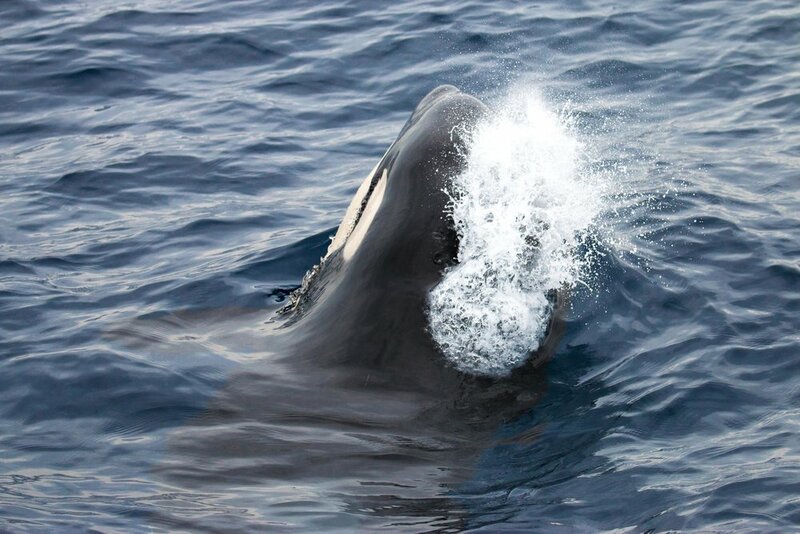 And given that such sightings are such a regular occurrence, we can highly recommend adding the orcas of Bremer Canyon to your whale-watching wishlist soon. Whale-watching Expeditions to Bremer Canyon are seasonal, from January to March/April each year. Two companies currently run tours – Whale Watch Western Australia and Naturaliste Charters, and both currently cost $385 per person. Tours commence at 0800. Travel to and from the canyon takes 1.5 to 2 hours, and approximately 4 hours is spent in the canyon, depending on the whale sightings and activity, returning to shore between 1500 and 1600. Whale Watch Western Australia had a photographer on board, taking high-quality photos which are then available to download from their website that evening, along with a commentary about that day’s tour. There is also underwater footage taken from over the edge of the vessel, giving another unique perspective on the experience. A daily diary is posted to their website about the day’s sightings and activities. 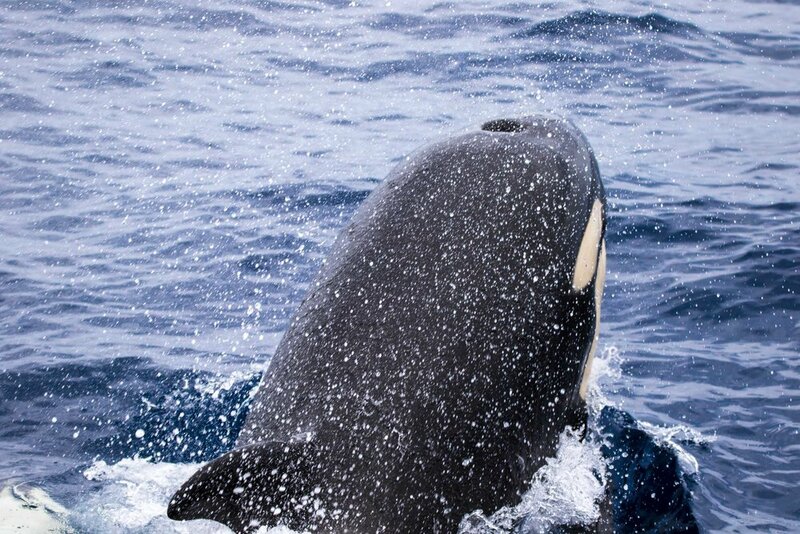 You can see the video of the day we joined them here “Language of the Orca”. Food on the tour was generous and delicious, with morning tea, lunch and afternoon tea (plus non-stop snacks), although we ate little as we were too busy experiencing and photographing the orcas to take time away from the viewing decks. Whale sightings are not “guaranteed”, but both companies are so confident of success that they offer free repeat tours if orcas are not sighted. Other animals that it is possible to sight include sharks, dolphins, sea lions, pilot whales, sperm whales and beaked whales. Plus birdlife including terns, petrels, shearwaters and the magnificent albatross. Seasickness is a serious possibility, and those prone should definitely take seasickness precautions prior to boarding (and potentially again during the tour to be sure). Bremer Bay is a small town of just a few hundred permanent residents, nestled on the southern coast of Western Australia near the Fitzgerald River National Park. Bremer Bay Resort was our accommodation choice and features comfortable motel-style rooms, as well as the region’s only pub and evening restaurant, with an extensive range of well executed pub food. They also do take-away coffees and toasted sandwiches for breakfast before your whale-watching tour which we found is the perfect way to start the day. utilise the charter flight option with Whale Watch Western Australia on Saturdays – departing Jandakot in Perth at 0600, a 1.5 hour flight takes you to Bremer Bay airstrip in time to join the 0800 tour, with return flights back to Perth after the whale-watching tour (super convenient, but less of an opportunity to savour the stunning southwest Australian coast).